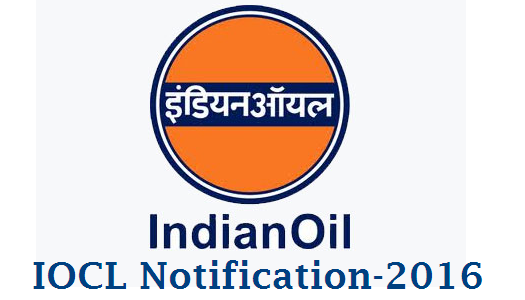 Applications are invited from candidates meeting the following qualification & other parameters for engagement as Apprentices under Apprentices Act, 1961/1973 (as amended from time to time) in the Trade/Disciplines mentioned below: Indian Oil Corporation Limited IOCL Notifiction for Apprentship Programme IOCL Programme for 45 Posts in Govt of India under taking company Educational Qualification, Provisional Number of seats in Apprentice category including likely reservation shall be as follows. The consolidated stipend payable shall be as mentioned below or as revised (under the Act) from time to time (whichever is higher). Reservation will be applicable as per the prescribed percentage for recruitment applicable to the state of Assam. Indian Oil Corporation Limited, the largest commercial undertaking in India and a Fortune “Global 500“ Company, as a measure of Skill Building Initiative for the Nation, proposes to engage Apprentices at its Guwahati Refinery at Noonmati, Guwahati (Assam). Candidates undertaking the responsibility of correctness of particulars/details required in the application format will ensure that he possesses all the relevant certificates/testimonials/proofs/supporting documents pertaining to Age, Caste, Educational Qualifications, etc. and such other particulars/information at the time of submission of application format. Step I – Type and fill the application format as per the proforma given below in a A4 size paper. Step II –Provide particulars of personal details, educational details, communication details and other information as sought in the application format. Step III – Paste his/her recent passport size photograph and put his/her signature in designated place of the format. 1. Selections for engagement of Apprentices would be based on Written Test and Personal Interview. The written test will be of two hours duration & would carry a weightage of 85%. The maximum weightage for interview will be 15%. 2. The candidates will have to qualify successfully through each stage of the selection process i.e. Written Test and Personal Interview (Minimum 40%, relaxable by 5% for candidates from SC/ST/PWD categories against reserved positions) and pre-employment medical fitness for being adjudged suitable for engagement. 3. Candidates are advised to ensure that they are medically fit as per Indianoil’s pre-employment medical standard. Candidates are advised to go through the “Guidelines and Criteria for Physical Fitness for Pre Employment medical Examination” before they commence the application process.